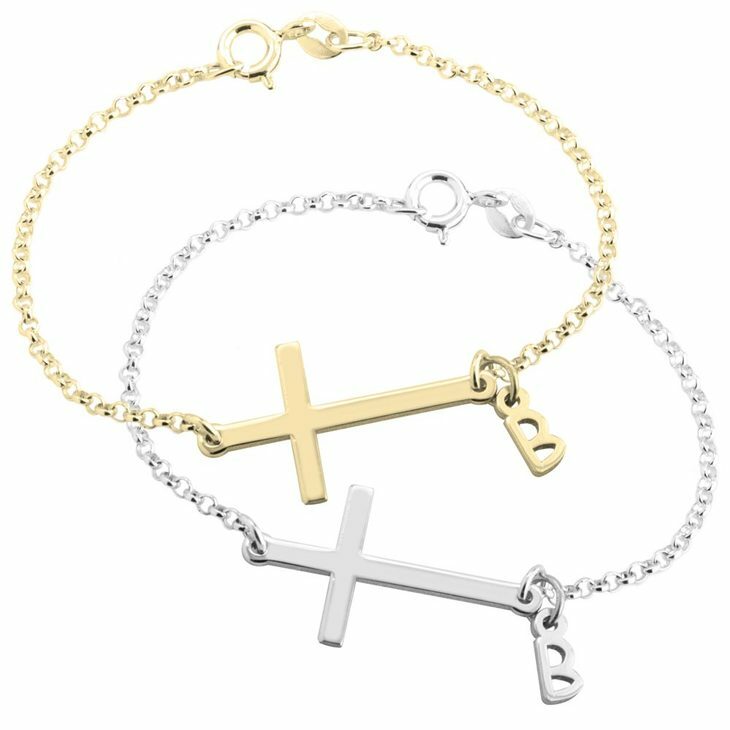 Faith has no limits and now you can have your faith close to you in a stylish Personalized Cross Bracelet! 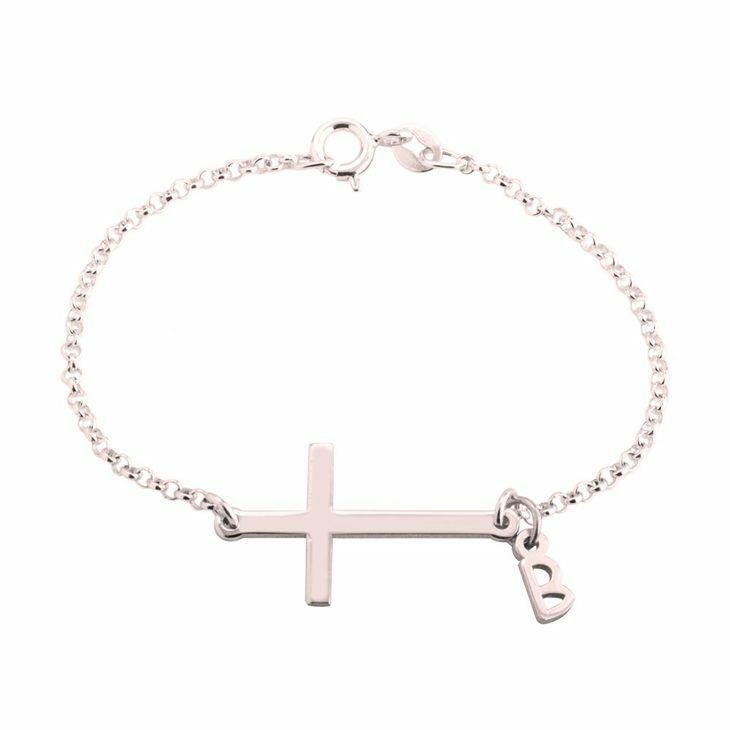 The crosses part of the bracelet which makes it look longer and with a perfect bar at the end it has an initial for you to add! Its a great accessory to take with you everywhere, we know faith is part of who you are. 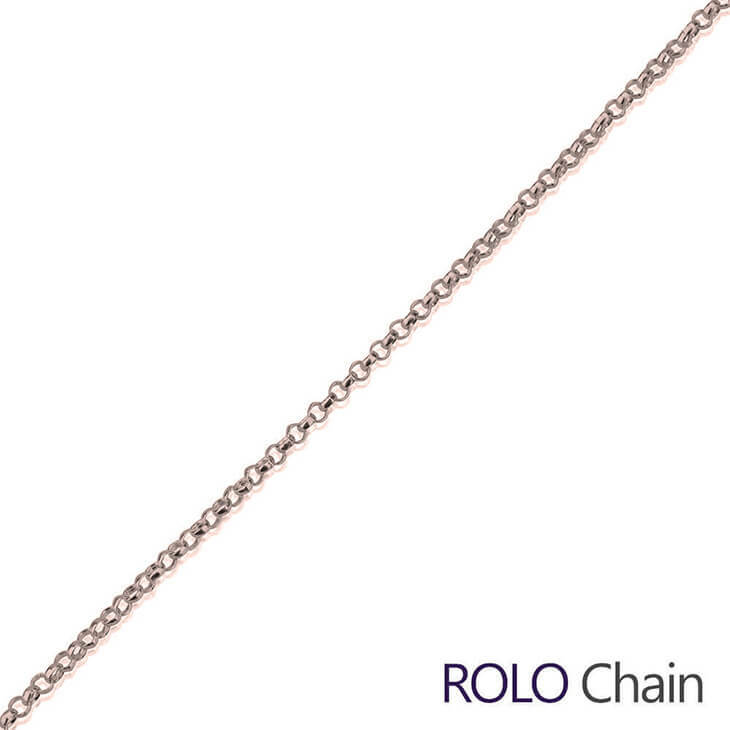 The bracelet comes in three different tones for you to choose, silver, gold plated and rose plated. 25mm x 14mm / 1.0" x 0.6"